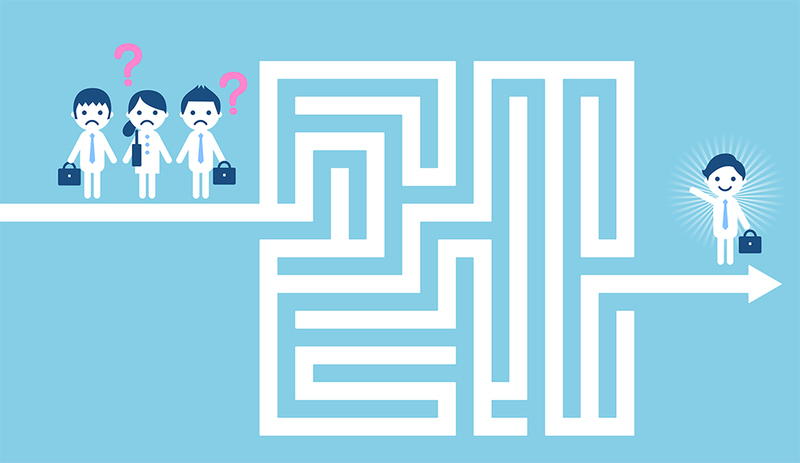 Unorthodox Recruiting Methods: Capture the Flag, Escape Rooms, and More! How do you know a candidate is the perfect fit for the role, other than the conventional ways of following up with references, cross-checking résumé content for accuracy, etc.? Have you tried any unconventional ways to recruit candidates? At RecruitCon 2018, recruiting expert and Founder of Vaia Talent Angie Verros talked about communicating with candidates in unconventional ways—for example, searching through a candidate’s online social media profiles, finding a unique interest that person has, and messaging him or her using that “uniqueness” as a way to start a conversation. Verros, who is a huge Duran Duran fan, used her passion for the band as an example of ways to reach out. Verros shared communications she had received as a way to drive this point further home. For example, one message she received used Duran Duran lyrics as a way to capture her attention; it read, “I’m on the hunt. I’m after you. 🙂 Great speech today at the conference.” Another referenced a Duran Duran song title: “I must say I’m Hungry Like a Wolf to hear more about this opportunity.” Not only did these messages grab her attention but they showed her that the person actually took the time to review her profile before reaching out. Verros encouraged attendees to do the same; by taking the time to learn more about a candidate’s personal interests, you grab his or her attention by curtailing your messages accordingly. However, there are other unorthodox ways to recruit candidates, and a new report by Theknowledgeacademy.com, a training and qualifications provider, showcases the unique ways some companies are trying to recruit talent. According to Theknowledgeacadmeny.com, many companies believe traditional methods limit individuals from truly showcasing their core competencies and skills for a given role. Tired of the established recruitment processes and concerned about the numerous implications of choosing the wrong candidate, companies are using unorthodox avenues to assess applicants. Three of the newest assessment methods include escape rooms, capture the flag, and professional speed dating sessions. An escape room is a real-life physical adventure game in which a group of people (usually 5 to 10) must work together to utilize clues and hints to solve a series of complex puzzles and riddles to escape a locked room within a set time limit. According to the survey, 66% of U.S. jobseekers would be open to being assessed by escape rooms. Furthermore, 70% of companies would be interested in using escape rooms as a way to assess job candidates. Capture the flag is a game where individuals are split into two teams and allocated half of an outdoor area each, which is known as their base. Flags are then placed at the rear end of each team’s base. To win, the main objective is for one team to capture the other team’s flags and bring them back to their base. To achieve this, players from each team must advance toward the opposing flags and try to avoid being tagged by “enemy” players. If a player does get tagged when trying to get a flag, he or she gets confined to a “jail” for a predetermined time. Surprisingly, 74% of jobseekers would be open to being assessed by capture the flag, and 62% of companies would be interested in using capture the flag to assess applicants. Some companies have taken their recruitment process offline by facilitating professional speed dating sessions. Candidates talk to different senior and junior employees for a defined amount of time each about what they can bring to a role in terms of experience, qualifications, and skills. Thereafter, key decision-makers decide among themselves who to bring back for the next round or even make a job offer then and there. Only 50% of the jobseekers were open to this assessment, and 58% of companies were in favor of this option, which really should come as no surprise when you consider the time constraints involved. Normally with speed dating, you’re only allowed roughly 4 minutes to learn about a person. And if you struggle to find love in 4 minutes, imagine how much harder it would be to find the perfect fit for a role! When you’re offering a candidate a different approach to the recruitment process, you’re also leaving a good impression on the candidate about the company. According to the survey, 72% of jobseekers would prefer a new, unorthodox approach to hiring over the traditional methods of interviews and placement tests. What unorthodox methods have you tried? Do they work? Share them in the comments section below!